Group CrossFit classes aren’t for everyone. Some prefer one on one training. A trainer will design workouts based on your fitness level and goals. 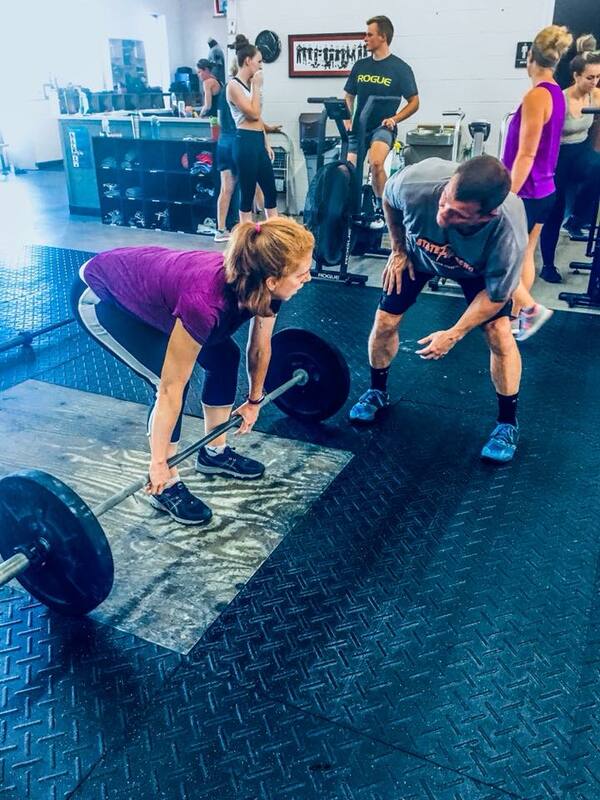 CrossFit is constantly varied, functional movement, at high intensity. This is a prescription for broad, general, inclusive fitness. Utility’s training staff has a wide range of experience and knowledge in many other areas of fitness; triathlons, Olympic weightlifting, bodybuilding, and powerlifting to name a few. We have coaches that have played and coached football, baseball, softball, track and wrestling. Kids, teenagers, or adults, from the first time exerciser to the top shelf athlete, we got you covered. Personal Training is available by appointment 330-990-3942. Do you have beginner classes? I am very interested in Crossfit and have done a few classes before but I am still a total newbie. 🙂 thanks! Hi Ashley, we do not have designated beginners classes, but we will have a trainer go through your first class step by step and scale the workout for you.